The sanctuary is located 20 km from Jhalawar and 60 km of Kota. 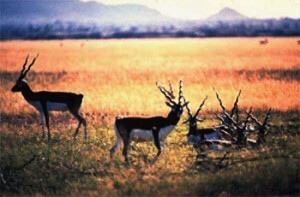 An erstwhile royal hunting preserve, it is a thickly wooded forest lying along the south – eastern border of Kota adjacent to the mountain range. The wildlife variety includes Panther, Spotted deer, Tiger, Wild boar and Bear. The wildlife lives without any threat to their lives. Best accommodation is available at Kota and Jhalawar. Air: Jaipur 305 km is the most convenient airport. Rail: Kota is the major railhead. Mukhandara is the nearest railway station. Road: Darrah has well connection of roadways through Kota and Jhalawar. This entry was posted in Darrah Wildlife Sanctuary, Rajasthan and tagged india sanctuary, Wildlife, wildlife india. Bookmark the permalink.